Ghassan Kanafani | Letter From Gaza. Books For Mosul | Restocking The University of Mosul Library. Playlist: Kamilya Jubran & Werner Hasler. Yemen | How To Help. Yazan Halwani | Immeuble Noueiri. The Humanism Of Edward Said. Playlist: La Bel Haki By Adonis. Call For Papers: Towards An Arab Left Reader. (Interview) Jehan Bseiso: This Is Not A Border. Illustrations By Owaikeo (Ahmed Al-Refaie). Jehan Bseiso | Requiem For Raqqa. Playlist: PJ Harvey & Ramy Essam. (Interview) Adrienne Roberts: A Woman’s Work Is Never Done. Khaled Mattawa | Bedtime Reading For The Unborn Child. (Interview) Laleh Khalili | Between War & Commerce. Ara Güler's magnificent black & white Istanbul. Walk the (Green) Line by Francis Alÿs. Nizar Qabbani, Syrian Poet of Love. The unique houses of Ghadames, Libya. Cultural Criticism a… on The Humanism Of Edward Said. (Interview) Jehan Bseiso and The long way home. Jehan Bseiso is a Palestinian poet (also a researcher and aid-worker) who grew up in Jordan. She’s 31 and in her life so far she managed to collect passport stamps from all over the globe. Since the first time I read her work, it felt like I know her, although we never met. I loved her poems and the way they float in the air when I read them (they find a way to melt with the space – in and outside me). Even when she is dealing with a specific topic, a certain “syrian thing”, or “palestinian thing”, she makes it an universal thing, a matter of truth, justice, love, compassion, bringing us to the fact – that fact that it all is an universal thing. And we all should be aware, and we should care. 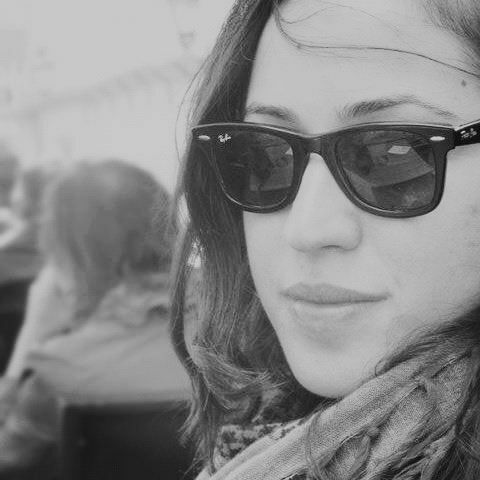 Jehan currently lives in Cairo, and often writes for The Palestine Chronicle. Couple of weeks ago, I read her letter to Ghassan Kanafani on the 66th anniversary of Nakba, and it served as a trigger to finally ask her for an interview. On our birthday this year I turned 31 and you turned 78. Even the dead grow old without a homeland. Do you know that we live and die in diaspora now? Do you know that Palestinian refugee camps are swollen with Iraqis and Syrians now? Too many Jihadi songs end with the refrain “For Falasteen”, but Baba says terrorists can’t read maps. The march to Jerusalem doesn’t start from Kunduz. And I definitely cannot see Haifa from Cairoya “Ansar Beit el Maqdis”. Last week in Beirut I went to the races for the first time and bet 5$ on a horse named Thawra. But I met a little boy who said he was from Sabra. In Jordan, Syrian children say they come from Zaatari and Azraq not anymore Homs or Hama. Little boys shouldn’t come from refugee camps. I contacted her, she answered my e-mail. We started talking. She said she likes my e-mail signature song – Tom Waits – The long way home. Jehan was kind enough to engage in a lovely thoughts exchange with me, so let’s get to that. Tell me something about Jehan Bseiso, something that defines you, something you can’t live without. I’m so much happier near water. It takes whatever I’m carrying away from me, and I like that it’s as simple as float or sink. I’m convinced that memories are buoyant, and there is no place I would rather re-member, re-put things back together than by the sea. You’ve traveled the globe, lived all over the Middle East, Europe and USA. Where is home for you? Or what is home for you? I think I have both a mobile and fixed sense of home. There are faces and smells that can take me home in one minute no matter where I am- Kabul or Cairo. Even if I am still moving around a lot, lately I also want to have a place all mine. Somewhere I can leave my books and shoes and hang things up on walls and try not to kill plants. Beyond the material trappings, home is my people, friends and family and they’re everywhere. There’s a line from one of my favorite poems by Stanley Kunitz, The Layers, where he says “I have made a tribe of my affections, and my tribe is scattered”. “And when my father died, his horse wept in the funeral”. Tell me something about your Poeticians experience. How was performing your poetry? I walked into a dimly lit café in Beirut, and I saw Hind Shoufani reading on stage. She was wearing something that was probably shiny, but I could only focus on the way her words jumped from the page to the stage. Those countless spoken word evenings around Beirut,and the people I met through Poeticians, changed the way I read and write. We will soon bury Palestinians above ground. No quiet place to die, with dignity. Raise high the beams – carpenters, death architects. Soon, your walls will reach the sky. You are currently working on a collection of poems “Conversations Continued”. What phase are you in at the moment? And can you describe the collection, its essence? I think of “ Conversations Continued” as a collection of real, misremembered and misheard conversations. It’s divided into different topics like “Conversations Habeebi” which tries to talk about love and “Conversations Thawra” which looks at the Arab uprisings. Whether the topic is conceptual like love or happiness, or touching on a complex political reality like the situation in Syria, the pieces slip in and out of different moods and topics much like a conversation in real life. And no bread. Nobody to break the bread with. Lodged in my throat like bricks. For everyone who has ever said enough. How do you see Palestine today, compared with the Palestine of your childhood? And how about the “outsiders” perception of Palestine, from your experience? The Palestine of my childhood is more a mental and emotional landscape than a physical place. Mama was born on the beach in Gaza and I was born in a hospital room in Los Angeles. Eventually, work took me to places as far as Afghanistan and Somali region, and I couldn’t explain to myself anymore why a place less than an hour from the capital of Jordan, where I was raised, felt so far away. So, I visited Palestine for the first time in 2012 and it was truly indescribable though I keep trying to find the words by writing about it. Is there a (palestinian) poet/writer you feel inspired by particularly? You’ve written a letter to ‘Ghassan Kanafani, but is there another person you would dedicate your words to and why? Mu’een Bseiso was a poet and friend of Mahmoud Darwish, he published throughout the sixties and seventies , wrote a lot about Palestine and died quietly in a hotel room in London a year after I was born. I never met him, but I often wish I had. Suheir Hammad is incredible. A few years ago, I had the pleasure to open for her when she read in Jordan and I spent a couple of days with her that continue to inspire me. I feel the same way about the Nakba. Everyday Nakba. Each year marks death, dispossession and occupation but also birth, and the celebration of memory and resistance. For more of Jehan and her work – read The Palestine Chronicle, follow her @jehanbseiso or contact her at: Jehan.bseiso@gmail.com. ← Rashid Hussein: The tortured soul and a poet star of Palestine. How we use Arabic today! Personal observations of myself, others, states and exile.